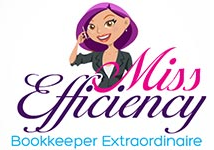 Sarah Stein is the woman behind Miss Efficiency Bookkeeping. Sarah knows all too well the detours and road-blocks that business owners can encounter on the journey of running a business. And that’s where her passion comes from – seeing business owners manoeuvre around those obstacles and forge their own path to run a successful business. Every business is different, with each business owner taking their own route. Some take the highway, some take a more scenic route with a few detours along the way. And others do a combination of both, with some highway driving and some delightful side trips to keep things interesting. Whichever route you take, most business owners have the same issues and needs. Bookkeeping may be keeping you stuck on the round-a-bout, so Sarah’s expert team can handle this while you enjoy the rest of your journey. I had been working full time for nearly ten years when I met my husband at work. I loved my job, so our plan was to have a baby and I’d go back to work while Jason stayed at home and looked after the kids. After a devastating miscarriage, quickly followed by my sister-in-law losing a five-week-old baby to SIDS, my world was turned upside down. I started to rethink returning to my job after having a baby, and instead decided to resign so I could set up a bookkeeping business from home. I imagined my baby happily playing beside me while I got on with my work. Little did I realise how much time a baby took up, and what was actually involved in running a business! I soon realised I had a lot to learn – sourcing customers, incorporating efficiencies into my business, building relationships. I was wearing all the ‘hats’ – accounts, IT, customer service, marketing, operations. And of course the biggest hat of all, being a good mum! There were many ups and downs in my business, as there were in my personal life – we had quite a difficult and lengthy time getting pregnant and having babies; my father suddenly died; my husband had a massive heart attack … along with a lack of confidence in myself, the financial stress business brings, and the balancing act of work and life. This was a great learning curve for me, and there have certainly been many road blocks along the way to make me consider giving up on my business. But there have been easy stretches and delightful side trips too, making it all worthwhile. I have evolved as a confident and knowledgeable business woman who can really make a difference to the business owners I deal with. I’ve successfully franchised and expanded my business; grown it to a size I never thought possible; given others the opportunity to get into business for themselves, given mothers the opportunity to flexibly return to the workforce; worked my business around my family; and of course, wrote a book! My business journey started as a knee jerk reaction to a personal tragedy. I soon learned that it wasn’t good enough to be ‘technically adept’ – I had to be a business person too. Understanding this and implementing it are two very different things and this is where overwhelm can creep in. As you’ll soon discover, I’m nobody extraordinary. However the things I’ve learned over the years of running my business and the systems and procedures that I’ve developed mean I do have an extraordinary business. My passion is seeing business owners succeed in their business, however that looks, and I’m excited to be part of your journey.